Welcome to Over-the-Road (OTR) blogging! Pictures not looking like they should on your iPhone or home computer? Not a problem. When I get a chance to blog on steady ground, no bouncing, no “NO SERVICE”, I’ll remedy the situation. In the meantime, please come on board with me for a few moments to read about my OTR breakfast. Breakfast began today with coffee purchased at a truck stop. The truck stop had a Dairy Queen which does not offer breakfast on their menu. Sorry, Dairy Queen, you didn’t make a sale off of us this morning. Perhaps you should consider adding breakfast. Dairy Queen goes back to my childhood and has good hamburgers. 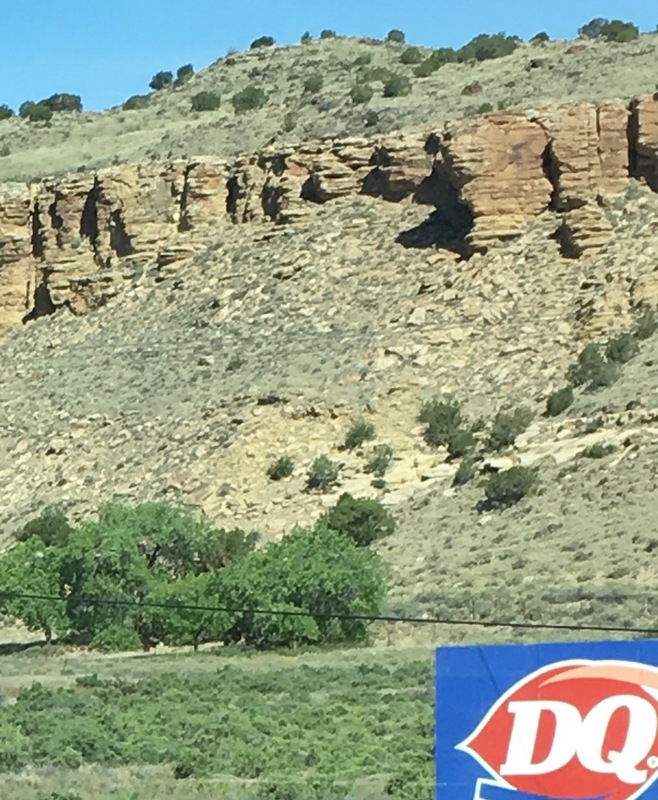 I did get the corner of the Dairy Queen billboard on the scenic drive. 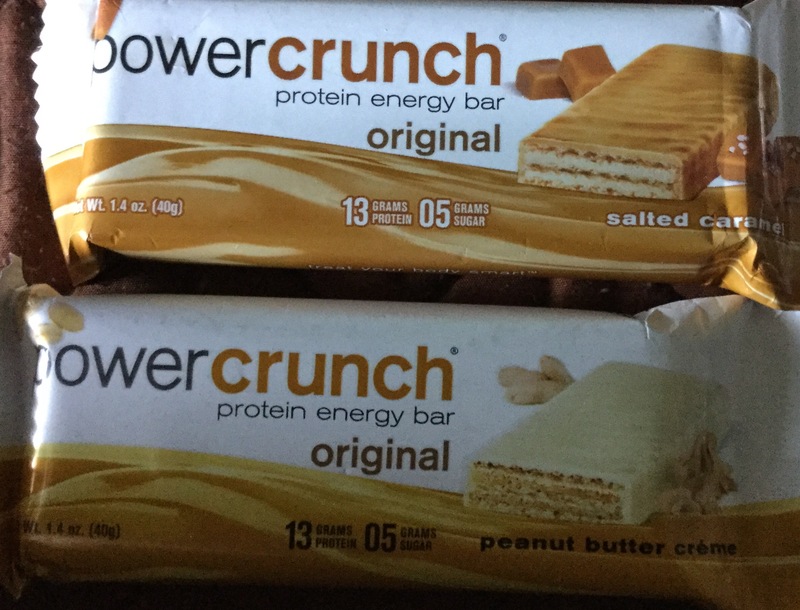 Nevertheless, I prefer eating Powercrunch protein bars for my early morning meal. The French Vanilla Creme is the best flavor in my opinion. One of these protein bars makes a perfect meal or snack when you’re eating a small meal every three hours and on a low carbohydrate, high protein diet. My husband and I each have a “Philmor” cup. When we go to the truck stops, we can get refills for a great discount. These cups wear out occasionally and have to be replaced. Mine started leaking yesterday, and spilled coffee on my shirt more than once. This morning my big red cup leaked again, reminding me to hold a napkin under the lid to catch any drips. 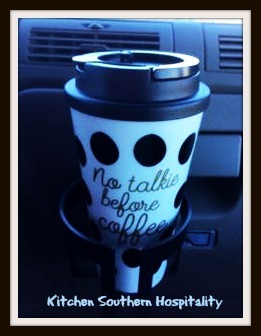 Then I remembered my “No Talkie Before Coffee” cup I had bought at a Hobby Lobby in Houston. 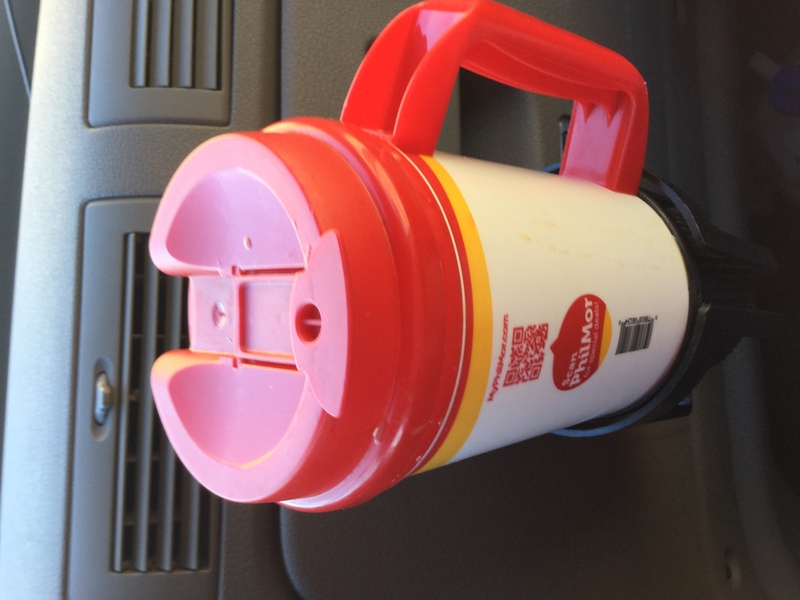 I left the cup at my daughter’s on a previous visit and remembered to bring it with me when going to see her Memorial Day weekend. The decision was made to say bye-bye to my big red cup after pouring my coffee into my new “No Talkie” black and white cup. Now that I’ve had my coffee, I’m ready for conversation. For starters, blogging while riding in a big rig on a bumpy interstate highway is not the easiest way to blog. Don’t be alarmed – I’m the passenger, not driving and typing. I imagine that blogging on the road is quite a challenge.